First published in 1994, Robert Ferrell’s comprehensive “Harry S. Truman: A Life” is one of nearly a dozen books he has authored on the 33rd president. Ferrell is a historian, a highly-regarded authority on Truman and the author of more than two-dozen books. While a student at Yale, Ferrell studied under renowned historian Samuel Flagg Bemis and later became a professor of history at Indiana University for more than two decades. Ferrell’s birth-to-death review of Truman’s life weighs in at a modest 401 pages and proves insightful, balanced and easy to follow. Nevertheless, while Ferrell is a skilled historian and astute analyst he is not a gifted storyteller. His narrative is often carefully constructed and cleverly analytical but, with some notable exceptions, rarely elegant or engrossing. The biography begins with a brief but effective preface laying out the author’s primary thesis: that despite outward appearances, Truman was no ordinary American or accidental president. Instead, he was the perfect person to occupy the White House at a pivotal moment in time. This premise being successfully reinforced throughout the book’s eighteen chapters, the absence of a concluding review of Truman’s legacy is not particularly disappointing. There are many excellent moments in this surprisingly detailed and potent biography. Among the best are Ferrell’s early dissection of Truman’s relationship with his mother-in-law, his analysis of Truman’s one-time benefactor (and Missouri political boss) Tom Pendergast and an excellent comparison of FDR and Truman which reveals their similarities as well as the stark contrasts in their styles and personalities. Other highlights include an exceptional chapter on the early days of Truman’s presidency and a particularly revealing chapter on the presidential campaign of 1948 (which ended with Truman defeating Thomas Dewey in a surprising upset). But for all its strengths, Ferrell’s biography possesses several notable shortcomings. Among the most glaring is that a great deal of context and color is missing from the narrative. The author’s failure to provide meaningful background related to even the large-scale ebbs and flows of World War II and the Korean War (as just two examples) will leave many readers unable to appreciate the full implications of certain of Truman’s decisions. In addition, while Ferrell provides solid coverage of some of Truman’s important personal and political relationships, many relationships (family and otherwise) are left aside. And some key figures – FDR chief among them – are described in a surprisingly tendentious two-dimensional manner which serves the narrative at the expense of a more robust and realistic description of the people involved. Finally, Ferrell’s book often lacks the “sizzle” that makes a great presidential biography difficult to set aside. 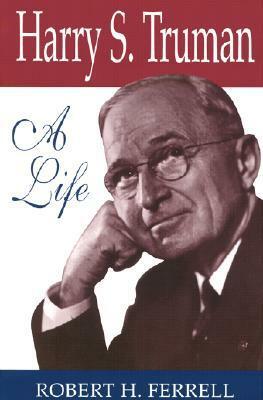 While the nine chapters through Truman’s early presidency are remarkably engaging, the second half of the book proves far more clinical, reading like a well-drafted thesis rather than a colorful review of a subject’s life. Overall, Robert Ferrell’s “Harry S. Truman: A Life” is an imperfect but worthy biography which builds on Truman’s relatively new reputation as an ordinary man but an uncommonly capable president. This book is friendly but not obsequious and tilts toward a deliberately thoughtful, analytical style which is rarely engaging or dynamic – but will leave any student of Harry Truman enlightened if not delighted. I see you’re on Dallek. Have you skipped Hamby? If you are looking for an introduction that covers Truman’s whole life that is an easy read would the Robert Ferrell book be a good book to start out with?